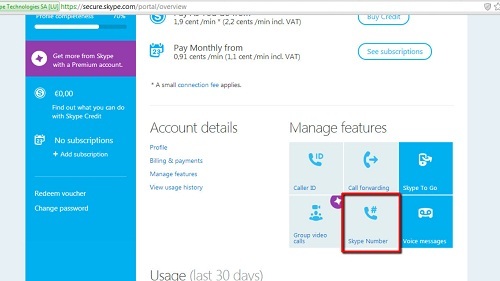 In this tutorial you are going to learn how to buy Skype phone number. Open a web browser of your choice and visit the Skype home page at: “www.skype.com”. 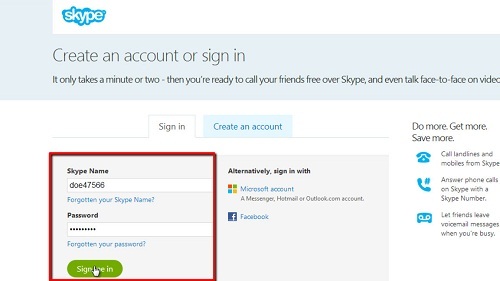 Sign in using your Skype credentials. You will be directed to your Skype home page, showing your account details. About halfway down the page on the right hand side is an area under the “Manage Features” title consisting of 6 blue boxes. Click on the box with the title: “Skype Number”. You will be directed to a page showing all the different Skype Features as separate tabs, and the “Skype Number” tab will be selected. Read the description or click on the button that says: “Get a Skype Number”. A page will open asking you to select “What country would you like your Skype Number in?”. Click on the flag or country name of the country in which you would like your Skype Number. 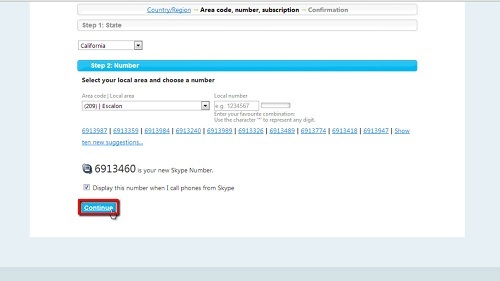 Depending on the country you choose, you may have to select an area code or area where you would like to have your Skype number in the page that opens. In addition, click on the number from the list that Skype provides, or click on “show ten new suggestions…” to choose from 10 new numbers. After selecting the area code and number, click on the blue “Continue” button that appears at the bottom of the white selection area. This action will direct you to the payment section, where, depending on your payment options, you will complete the transaction. 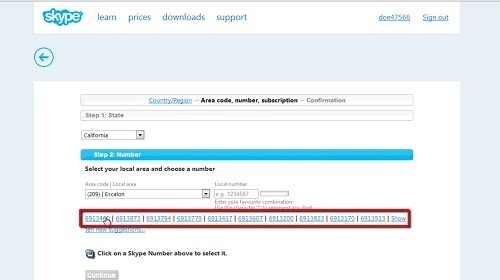 This is how to buy Skype phone number.